This is far from a modest den. Which of the 4 Nuavia do you prefer ? I personally like all 4, but the green is probably my favourite for summer and the red for winter time. (09-29-2018, 10:50 AM)CHSeifert Wrote: This is far from a modest den. The Nera / black is my favorite. Waiting for a picture of a "beyond modest shave den." The lights really add to the looks and practicality of the cabinet. I will not ask for your favorite razor/brush/soap. Hi Chris , thank you for sharing. RAD at its finest! Nice collection! Modest? I don't think so. We're not worthy. It's huge, extensive and out of bounds. At least call it what it is. (09-29-2018, 04:01 PM)primotenore Wrote: It's huge, extensive and out of bounds. At least call it what it is. "Yeah I guess I went a little bit over the top" he said. I'm speechless. This is just shaving. Wow! Thanks for sharing that. Just beautiful. 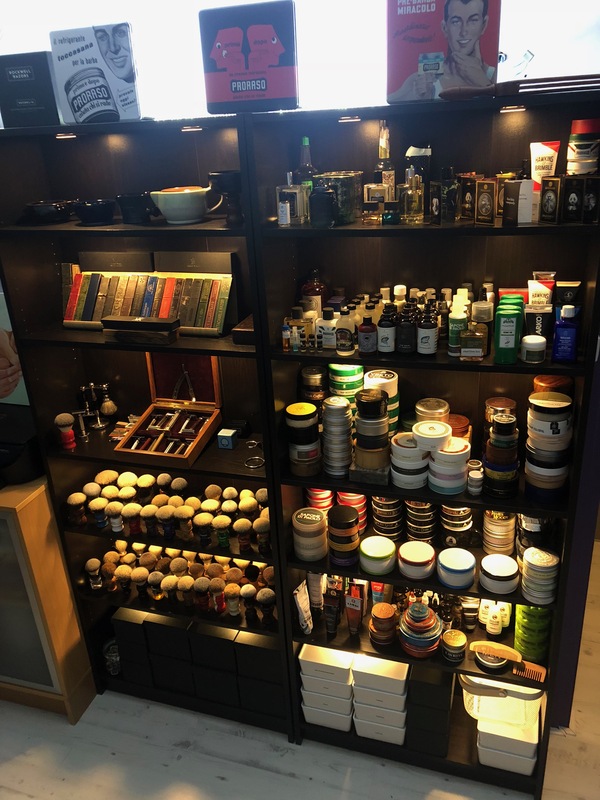 The display of straight razors in their boxes is a very nice touch! Looks great! And well organized! Dude can open a retail shop. Guys, we all need to step up our game.